Choosing the camping fridge that suits your needs is important. For some of the trips through Australia relying on a Ice box is simply not possible, there isn't enough space and there arnt enough shops to buy ice from. The convenience of having a car fridge is huge, it leaves ice boxes for dead. Depending on the style of camping that you do, will determine the style of fridge that will best suit your needs. There are essentially 3 different styles of camping fridges & freezers each suited to different styles of use. The purpose of this article is to explain the differences, why you would want to use a particular style of fridge over another. 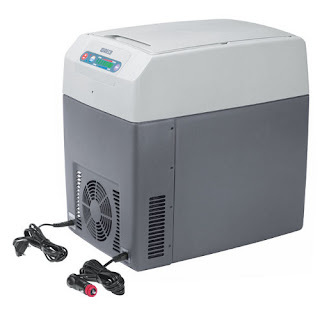 There are many options for compressor fridges in Australia. Some of the brands selling compressor fridges are: Engel, Waeco and Primus. 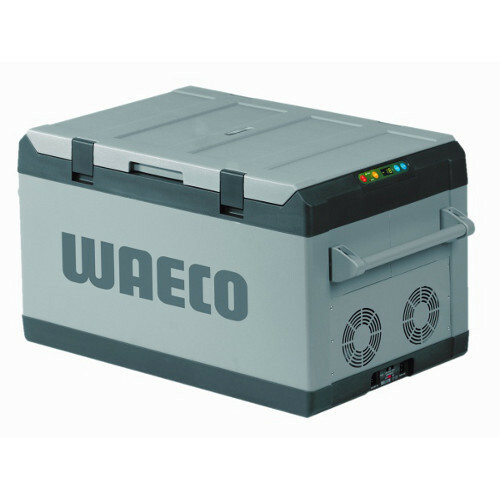 The Waeco CF-80 is a very popular fridge amongst 4WDers and camper trailer campers alike. The biggest advantage of compressor car fridges is that they are extremely power efficient. These fridges will run off 12v or 240v and in most cases will draw only 1-2amps per hour. To put that into perspective, your typical car interior light will draw 1amp per hour. Compressor fridges are ideally suited to car travelling, and operate very happily on 12v. Depending on the size of your battery in the car, they will be able to run for many hours with the car turned off without any real risk of your battery being completely drained. Compressor fridges are perfectly suited to creating a solar power solution for any period where you are staying in the one place for a longer duration. Compression fridges are the best for touring, solar camping or generator camping. Compressor fridges will suit most campers. Absorption fridges have no moving parts and cool using refrigeration gas and the heat exchange process. A process of boiling liquid ammonia and then cooling it down. For more information this process, a nice moving diagram can be found on the Waeco Dometic website. The Chescold RC1180 is one of the best 3 way fridges on the market today. It's very popular with long term campers. This refrigeration system is best suited to those who spend a long period of time in one location. When at this location the fridge is most efficient and effective running on gas. Where the fridge will burn a small amount of gas to run the small boiler inside the fridge. Due to how the gas passes through the fridge, they must be levelled out to get maximum performance. Due to how absorption fridges or three way fridges work it means that they are not very efficient on 12v. They will generally draw anywhere between 8-12amps per hour depending on the size of the fridge. This means that the 12v functionality is really only suited to travelling between home and the campsite. Absorption Fridges are the best for longer term camping in one location. Thermoelectric fridges often referred to as cooler warmers are similar to absorption fridges in that they also have no moving parts. They operate using a thermoelectric plate which when electricity moves through it will transfer heat from one side of the plate to the other. The process of which cools one side. The Waeco TC-21 is brilliant for keeping food at temperature for longer. Due to the nature of these fridges they do draw alot of power. They are also fairly inefficient and can only cool to a certain amount below the ambient outside temperature which is dependant on the size of the thermoelectric plate. 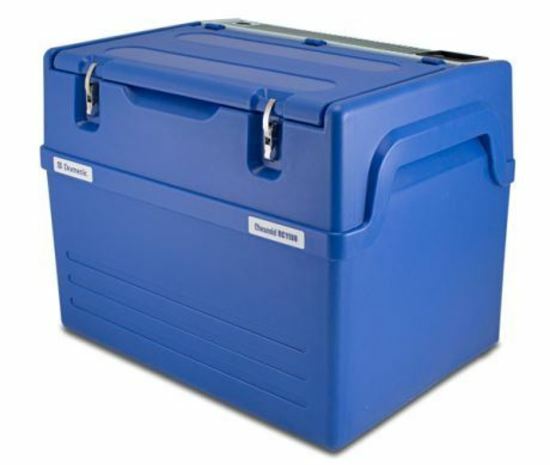 Thermoelectric fridges are best for transporting food between destinations with 240v mains power available. ie- between camp grounds, between hotels etc.